Weakened immune system due to AIDS or immunosuppressant medications. But for eye lymphoma, Lumbar puncture may be required. The diagnostic tests not only help in making the diagnosis but also in determining the stage of cancer . 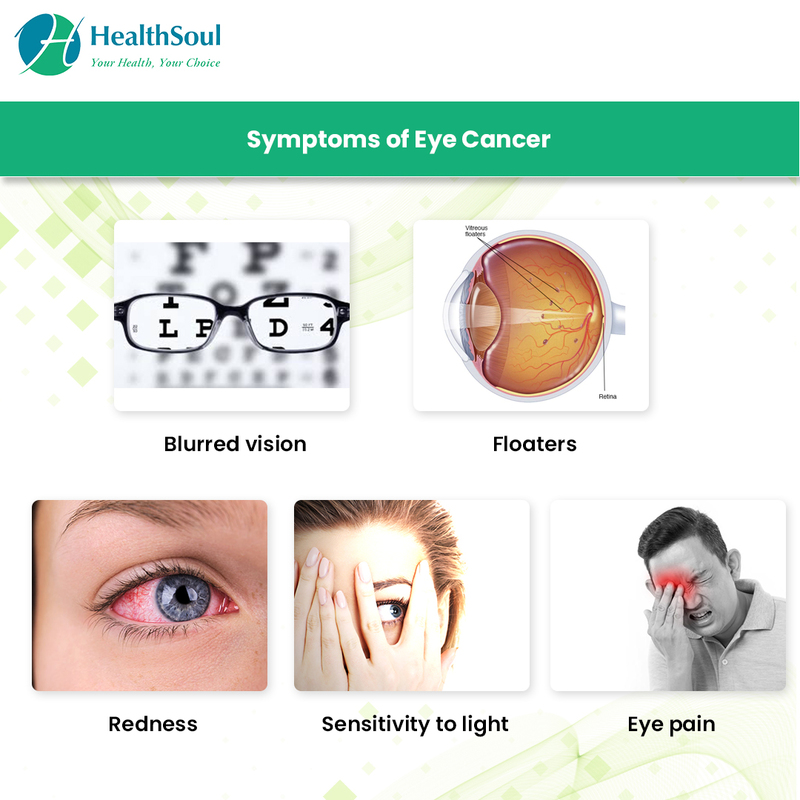 Stage I: Cancer is not growing into the ciliary body or outside the eyeball. It has not spread to nearby lymph nodes or to distant sites. 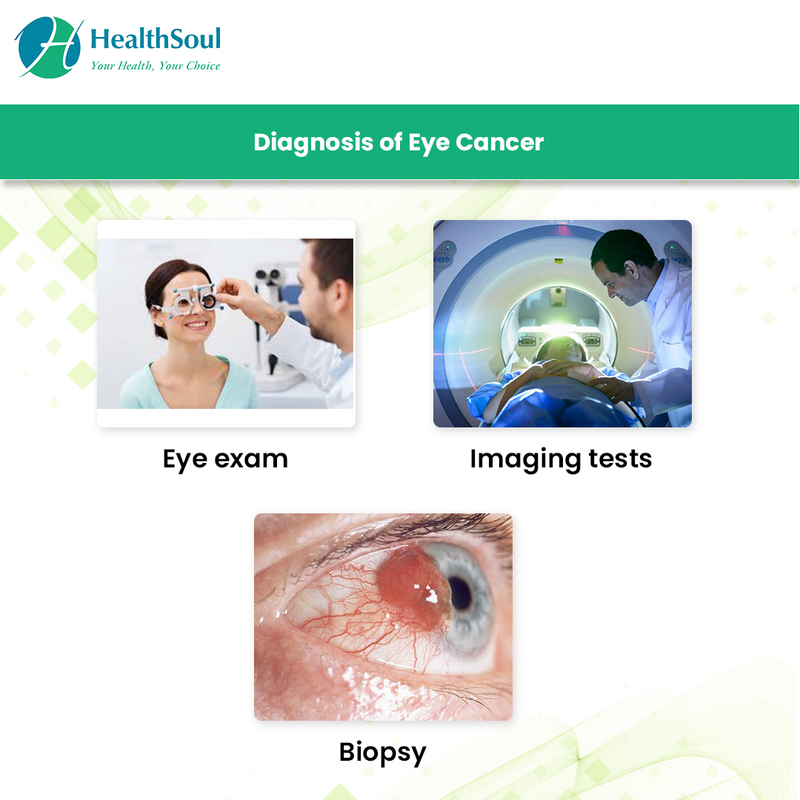 Stage II: Cancer may or may not be growing into the ciliary body OR is not growing into the ciliary body but is growing outside the eyeball (less than 5 mm) OR is growing both into the ciliary body and outside the eyeball (less than 5 mm). It has not spread to nearby lymph nodes or distant sites. Stage III: Cancer may or may not be growing into the ciliary body but is growing outside the eyeball (less than 5 mm). OR It may or may not be growing into the ciliary body or outside the eyeball. OR The tumor can be any size and is growing outside of the eyeball, and the part that is outside the eyeball is greater than 5mm. Stage IV: Cancer is any size and may or may not be growing into the ciliary body and outside the eyeball. It has spread to nearby lymph nodes or to other parts of the eye in the form of small deposits, but has not spread to distant sites. OR It is any size and may or may not be growing into the ciliary body and outside the eyeball. It may or may not have spread to nearby lymph nodes or other parts of the eye in the form of small deposits. It has spread to distant parts of the body. Eye lymphoma does not have its own staging system, but sometimes doctors use the system for other non-Hodgkin lymphomas. 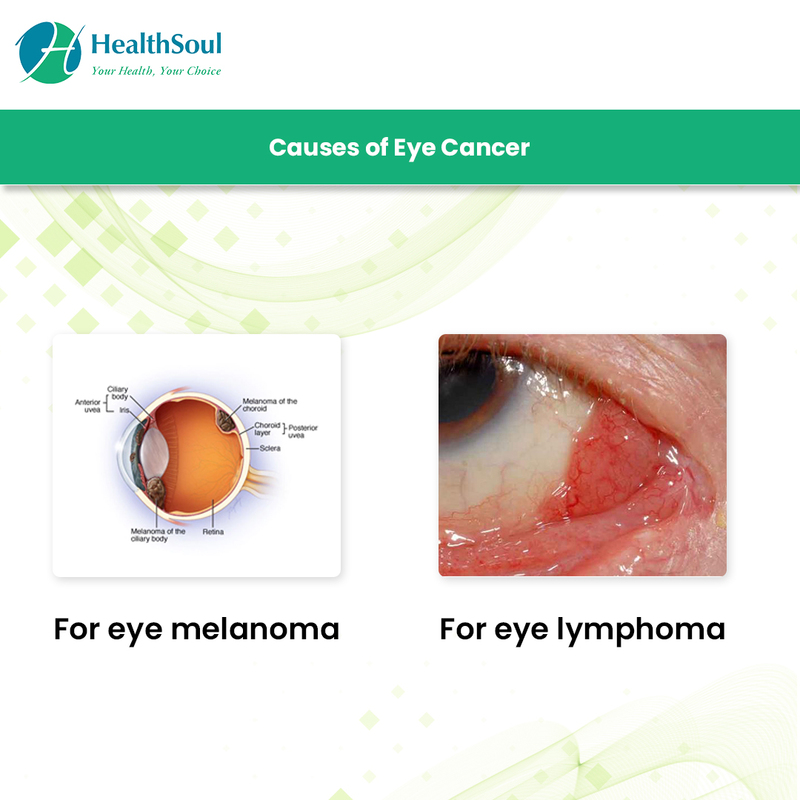 Since the cause is still unknown, it is not possible to prevent eye cancer. You can, however, limit your exposure to known and suspected risk factors, such as the sun (including wearing UV protected sunglasses) and HIV. There is no recommended screening tests for general population. Albert DM, Kulkarni AD. Intraocular melanoma. In: DeVita VT, Lawrence TS, Rosenberg SA, eds. DeVita, Hellman, and Rosenberg’s Cancer: Principles and Practice of Oncology. 9th ed. Philadelphia, Pa: Lippincott Williams & Wilkins; 2011:2090-2098.